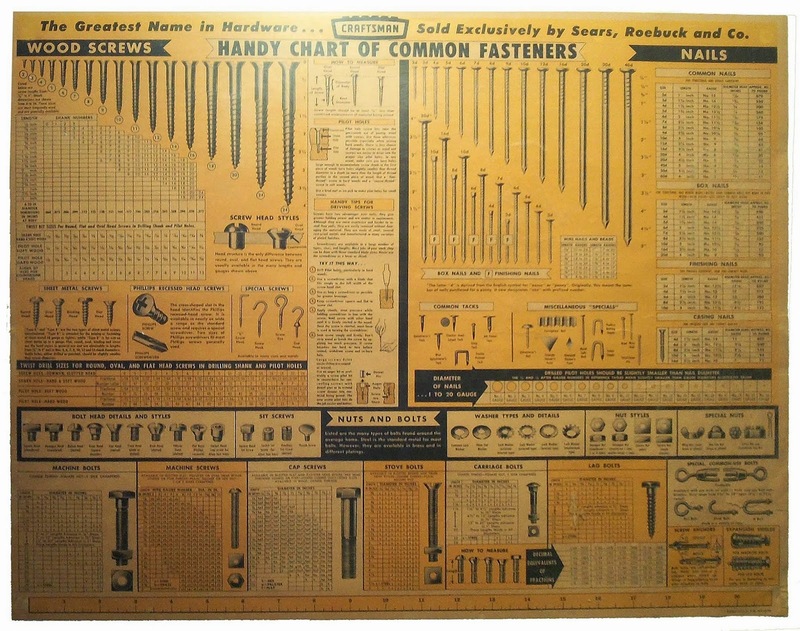 DIY Survival Guide: "Handy chart of common fasteners"
"Handy chart of common fasteners"
I have wanted to share this cool 1959 Craftsman "Handy chart of common fasteners" for some time because of its fantastic design, typography and yes, it's about fasteners. It was a great birthday gift from a friend and now hangs in the garage. Here are a couple of stores with fasteners aisles worth checking out, in no particular order. fasteners the lathe and more. Subway tile and a tub that's like new!